The former cinema site that will be demolished in January 2019. Entrepreneur and private investor Angus MacDonald is planning a two-screen multiplex with 150 seats and a cafe bar for the site of the former cinema. Mr MacDonald said: “I am in the position to give something back to the community. I have made money from the sale of a number of multi-million pound businesses and in return I have set up a charitable trust. In the past we have supported projects like the Moidart Trust and the Dragon’s Glen business start up project with Lochaber Chamber of Commerce. “I opened the West Highland Book Shop with my friend and business partner Kevin Ramage. He is a member of the Birks Cinema, Aberfeldy board. We believe the cinema in Aberfeldy has rejuvenated the town. 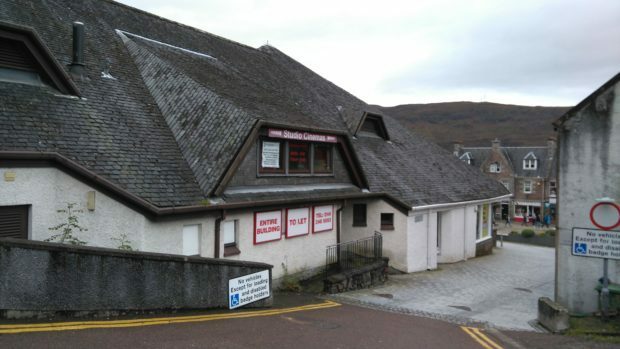 I have no doubt the town centre cinema will do the same for Fort William and Lochaber. “With more than 20,000 people living in the area, and with 440,000 tourists coming to the area every year – opening a cinema is a very viable project. The current building will transfer to Mr MacDonald’s ownership on September 25, and an open day to show off the plans will be held in the cinema building on October 4, 5 and 6. Work to demolish the site is expected to begin in January 2019. Mr MacDonald was brought up in Glencoe, before joining the army and then making business investments he then sold to Morgan Stanley, the Wall Street Journal and ICS Scotland for more than £100 million. The cinema will be part of a wider investment he is making into community projects. Councillor Andrew Baxter, chairman of Lochaber area committee, said: “There is a real buzz about the cinema being built in the town.